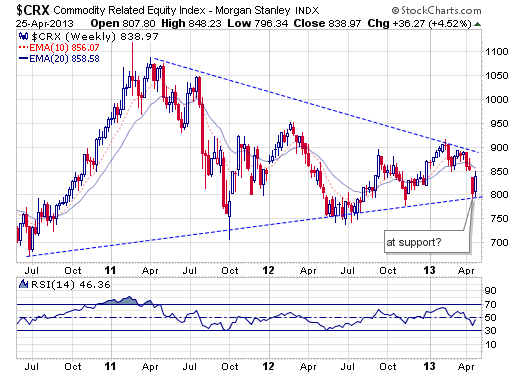 CRX is at support and Gold looks like it’s at resistance nearing the 20 ema. If this is a major long term bottom I think we need a retest to make it complete. 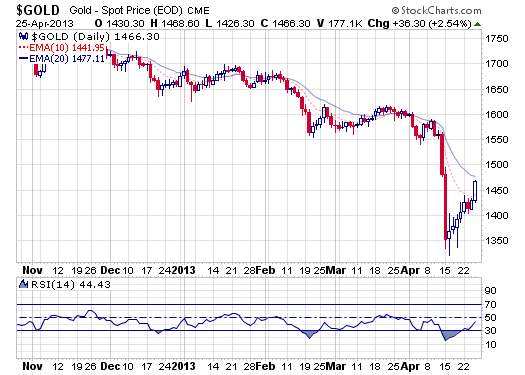 Look for a pullback to the $1375 and if that holds then it may be safe to buy gold. Right now I think we’re at some strong resistance.